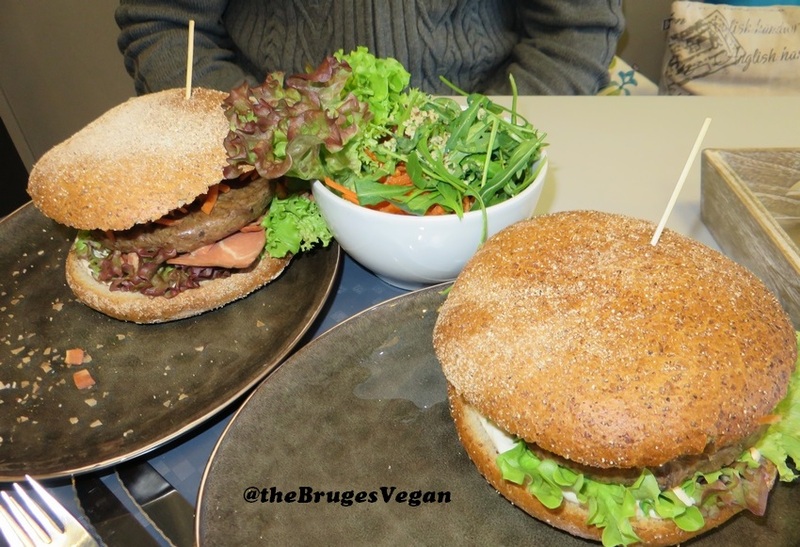 Restaurant review #34 – This was our second visit to vegan restaurant Vegaverso in Leuven, which opened only a couple of months ago. We already blogged about Vegaverso here, and in that blog you can also see photos from Vegaverso’s interior. Vegaverso is the second all vegan restaurant in town (the other one is the Loving Hut), and just around the corner from vegan shop SHAVT. We were there for a quick lunch. 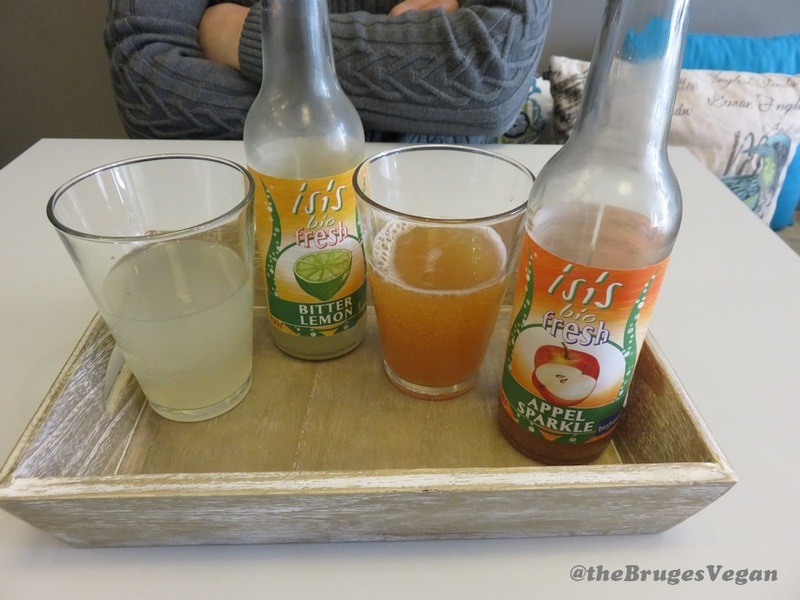 We had these juices from isis, bitter lemon and apple sparkle, 2,50€ each. smokey burger with ‘bacon’ (8,90€) and deluxe burger soft (8€). 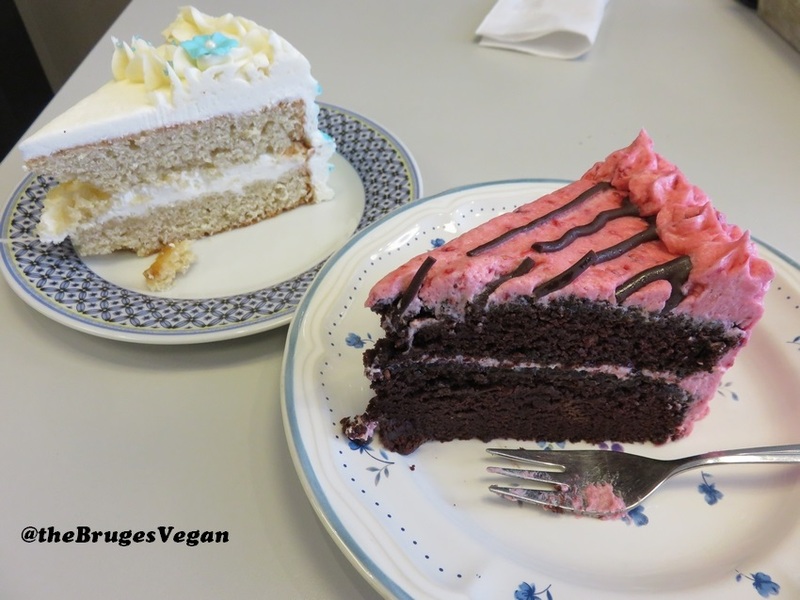 Although we only wanted a light lunch, we couldn’t resist orderering two pieces of vegan pie. Afterall, finding vegan pies in a restaurant in Belgium is so rare, we wanted to take advantage of the occasion! We had a piece of vanilla pie, and raspberry pie, each 5€. They were double layered cakes with frosting in between and on top. the cakes were really light and delicious, the frosting was a bit heavy on powdered sugar tough, a bit overkill. Nice nonetheless. Vegaverso also sells a selection of products from vegan chocolatier ‘Confisserie Jonas‘ from Oudenaarde. So we couldn’t resist buying some chocolates and cuberdons. 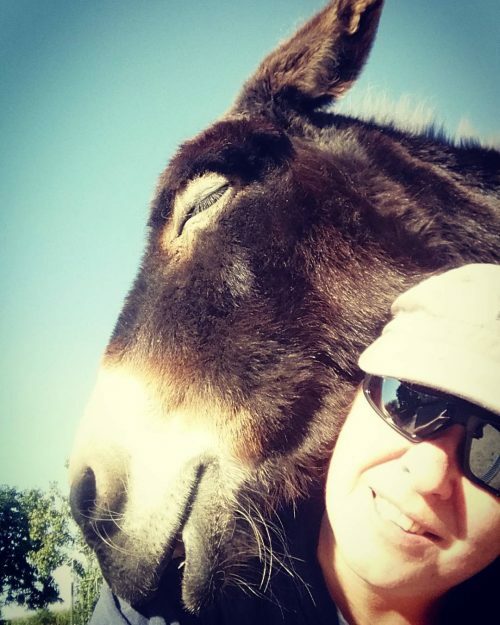 More about those here. Thanks for this cool review! I am going to eat there tomorrow again! Last time, I was too full for dessert! 😉 Yummm! The right cake looks very pretty & smashing too! Those burgers look huge & tasty!